Step 1 Using a vegetable peeler or spiralizer, cut carrots lengthwise into long thin strands or strips. Step 2 Whisk oil, peanut butter, lime juice, tamari and water in a large bowl. Add the carrots and gently toss to coat. Serve sprinkled with herbs and peanuts. 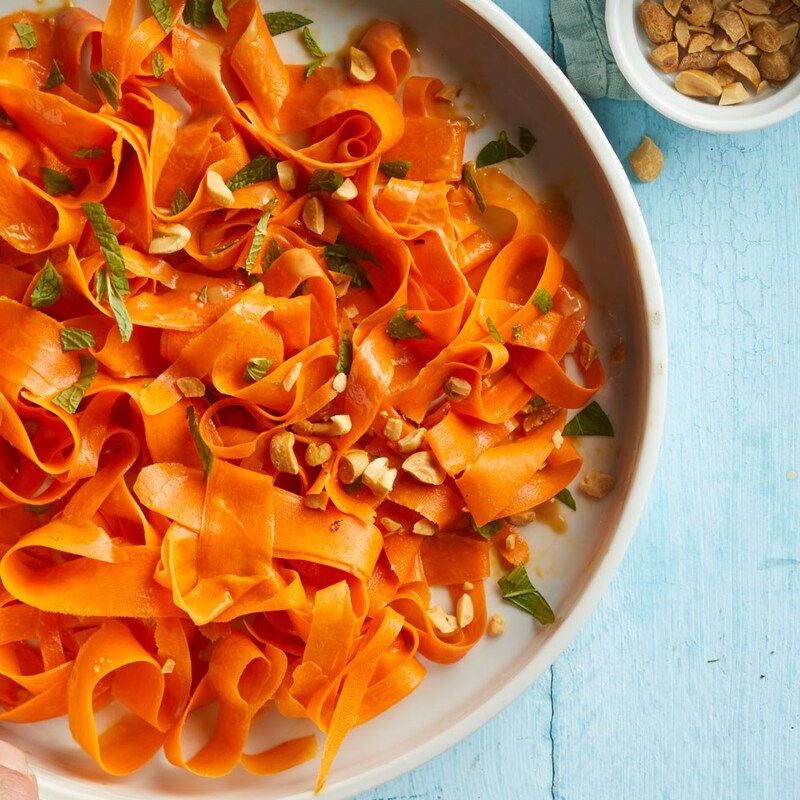 This crunchy salad is made with spiralized carrots instead of noodles. Make sure to use unrefined peanut oil, which is way more flavorful than its refined counterpart and is one of the trio of peanutty ingredients that makes this simple salad stand out. Look for it with other specialty oils or in the Asian section of your grocery store.